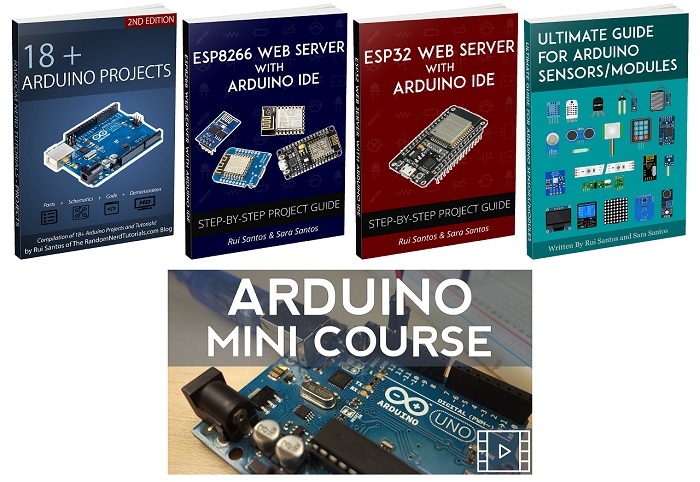 Want to Learn Electronics and Programming? 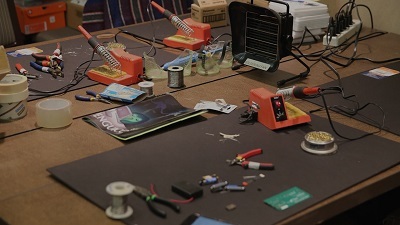 Random Nerd Tutorials helps makers, hobbyists and engineers build electronics projects. We make projects with: ESP32, ESP8266, Arduino, Raspberry Pi, Home Automation and Internet of Things. Enter your email address to get started with our free resources and eBooks! 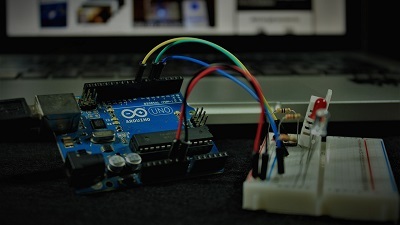 This is practical course where you’ll learn how to take the most out of the ESP32 using the Arduino IDE. This is our complete guide to program the ESP32 with Arduino IDE, including projects, tips, and tricks! MicroPython is a re-implementation of Python programming language targeted for microcontrollers and embedded systems like the ESP32 or ESP8266. Home Automation System using open-source hardware and software. This posts shows how to flash MicroPython firmware to ESP32/ESP8266 boards using the uPyCraft IDE software. It works on Windows, Linux, and Mac OS X. 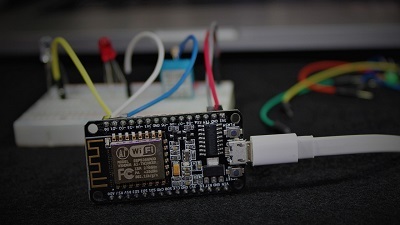 If you’re running a web server or Wi-Fi client with your ESP32 and every time you restart your board the ESP32 has a new IP address, you can follow this tutorial to assign a static/fixed IP address to your ESP32 board. In this article we’ll show you how to build a Latching Power Switch Circuit, also know as an Auto Power Off Circuit. You can use this circuit to auto-power off the ESP32, ESP8266, Arduino, or any other microcontroller. In this post you’re going to install the Mosquitto Broker on a Raspberry Pi. 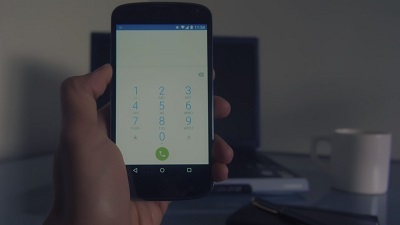 The broker is primarily responsible for receiving all messages, filtering the messages, decide who is interested in it and then publishing the message to all subscribed clients. In this article, we’re going to introduce you to the MQTT protocol. MQTT stands for Message Queuing Telemetry Transport. It is a lightweight publish and subscribe system where you can publish and receive messages as a client. In this project you’ll discover how integrate the ESP8266 Multisensor Shield for the Wemos D1 Mini board with Node-RED. The ESP8266 Multisensor Shield will establish an MQTT connection with a Raspberry Pi running Node-RED and Mosquitto MQTT broker. Learn how to build a home automation system using open-source hardware and software from scratch.